Last year, veterans groups hailed the extension of the Veterans Choice Program. 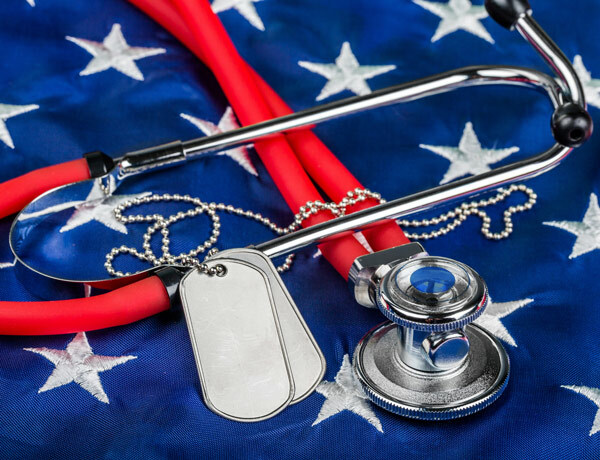 Under the program, the Veterans Administration (VA) can cover the cost of private health care when veterans face difficulty being treated within the VA system. It gives veterans with service-connected mesothelioma a way to seek treatment at private cancer centers. Veterans suffering from cancer caused by military asbestos exposure are entitled to treatment fully covered by the VA. The government created the Veterans Choice Program in 2014 in response to scandals involving long wait times for VA health care. It was set to expire in August 2017, but a law signed in April of that year allowed it to continue operating until its budget was used up. Now the passage of the VA Mission Act has funded the Choice Program for another year and directed the VA to overhaul it in the long term. The reforms could further expand access for veterans with mesothelioma, but veterans must still seek approval from the VA first. The act’s official name is the VA Maintaining Systems and Strengthening Integrated Outside Networks Act. It will consolidate the Veterans Choice Program with the VA’s six other community care programs. It also mandates several reforms aimed at modernizing the VA health care system. The VA Mission Act arose out of concerns the Veterans Choice Program has not significantly improved health care for veterans. The Government Accountability Office recently criticized the program in a report. It found veterans still faced long wait times for appointments at community providers. The government now aims to make a more responsive system by streamlining the VA’s seven community-care programs into one. The new law requires the VA to contract with private health care networks to ensure veterans never experience a lapse in coverage when VA facilities cannot serve them. Expanding the VA Caregiver Program to cover veterans of all eras. Funding programs to attract medical professionals to VA jobs. Creating a review process to identify VA facilities that need to be upgraded. Still Have Questions About the VA Mission Act? Speak with one of our VA-accredited Patient Advocates. To use the VA’s community care option, veterans must first apply to have their illness recognized as service related. Proving military asbestos exposure is challenging for veterans who retired decades ago. On top of that, mesothelioma patients have no time to spare waiting on VA bureaucracy before they begin treatment. There are also unresolved questions around how the VA Mission Act’s reforms are going to be funded after May 2019. The White House wants to pay for the new programs by cutting funding for other VA services. But the authors of the VA Mission Act want to avoid forcing the VA to cannibalize its own funding. We all hope the VA succeeds in streamlining its community-care programs. But even then, the process of filing for VA benefits will still be complex. A VA-accredited claims agent can help veterans understand their options and complete the necessary paperwork. Veterans with mesothelioma should not look into private treatment before considering what the VA health care system has to offer. A few VA treatment centers around the country already provide world-class treatment for asbestos-related cancer. The VA can help veterans travel to these treatment centers at no extra cost to take full advantage of the benefits they have earned. Veterans who are enrolled in the VA Health Administration prior to a diagnosis of mesothelioma can also seek specialized care at a civilian medical center. Veterans must receive approval from their VA medical treatment center before seeking civilian treatment. This must be done for the VA to pay for the treatment under the VA Mission Act provisions. Sisk, R. (2018, June 20). Fight Brews as the VA Mission Act Remains Unfunded. Ogrysko, N. (2018, June 6). Trump signs VA MISSION Act into law, though funding questions remain. Riley-Topping, R. (2018, June 6). Trump signs VA Mission Act — this is a health care win for vets.